Oh no! Did you publish a gallery but can't see your photos when you visit it? 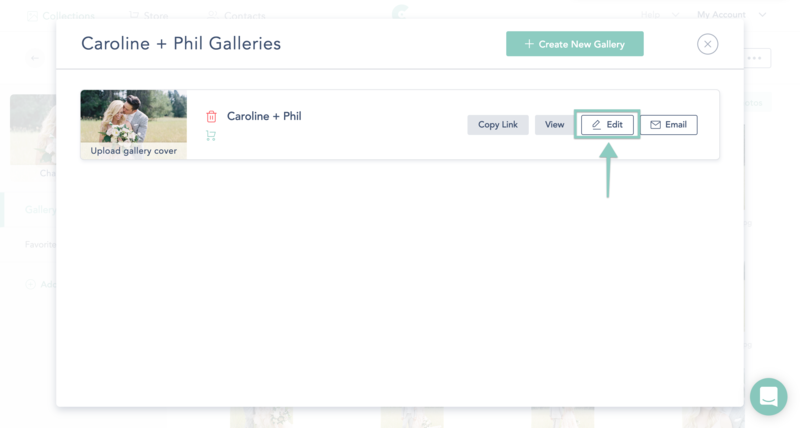 To make sure you're displaying your images beautifully in your gallery, click on the collection you're working on, then the "Galleries" icon, and then "Edit" next to the gallery you want to publish. In the "General" tab of your Gallery Settings, you can enable certain folders within your collection to "Show" or "Hide" from your Gallery. Click on the negative sign next to the corresponding folder to remove it from your gallery, or click on the positive sign next to the corresponding folder to add it to your gallery. You can also choose to "Remove All" or "Add All" easily with one click! 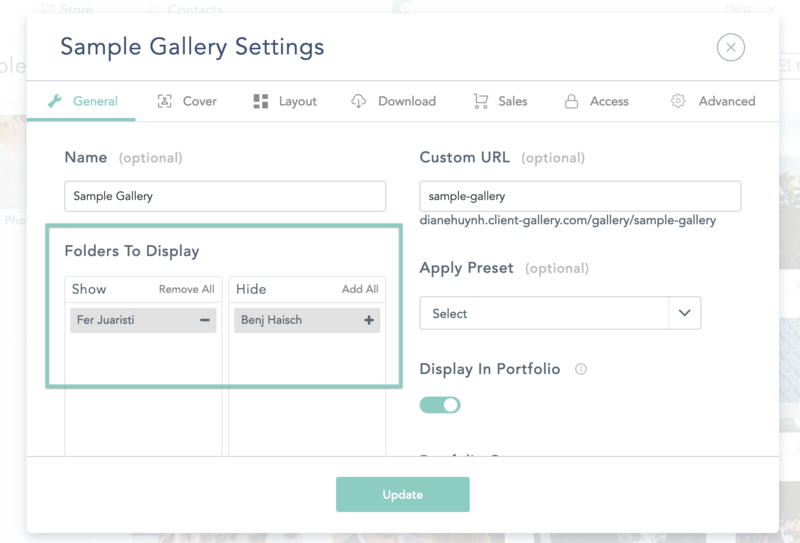 When you're done, click on Update Gallery and your gallery will automatically update - no need to resend any links (unless you've changed the Custom URL).